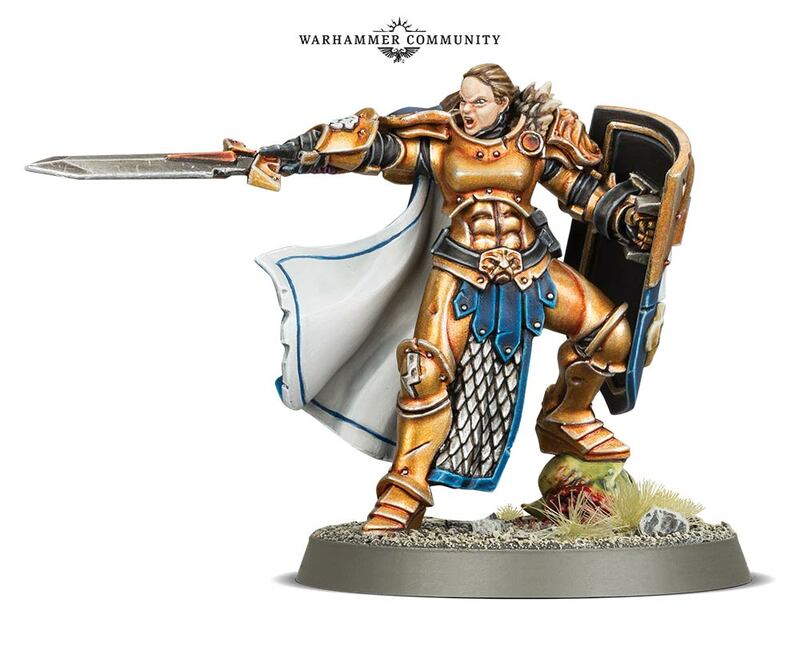 "Leena Stormspire is a new Stormcast Eternals miniature that will be exclusively available at store openings. 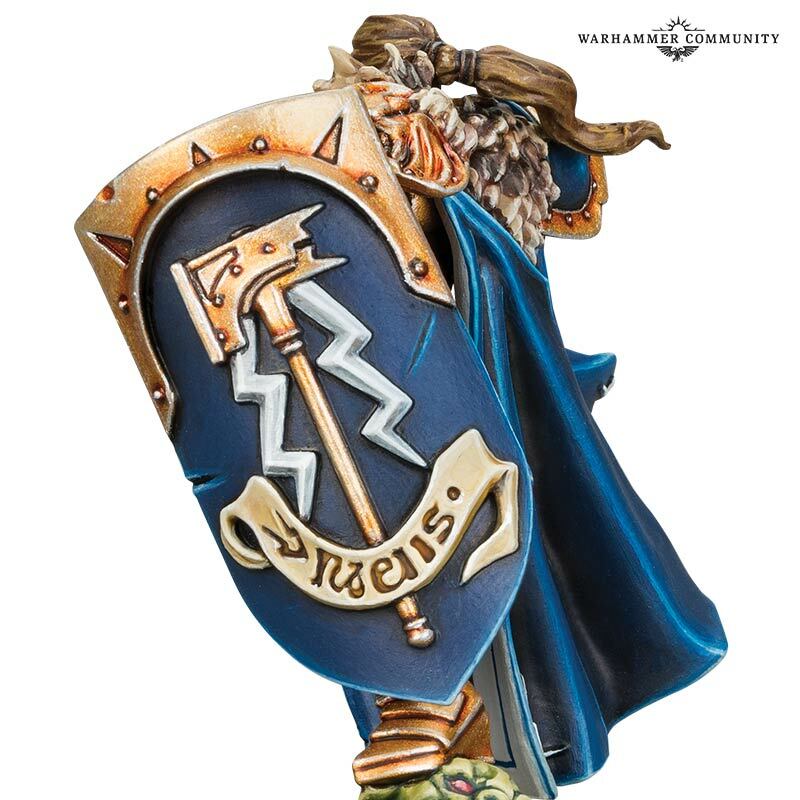 She’s a Liberator-Prime armed with a warblade and carrying a Sigmarite shield, perfect for leading a unit of Liberators into battle. 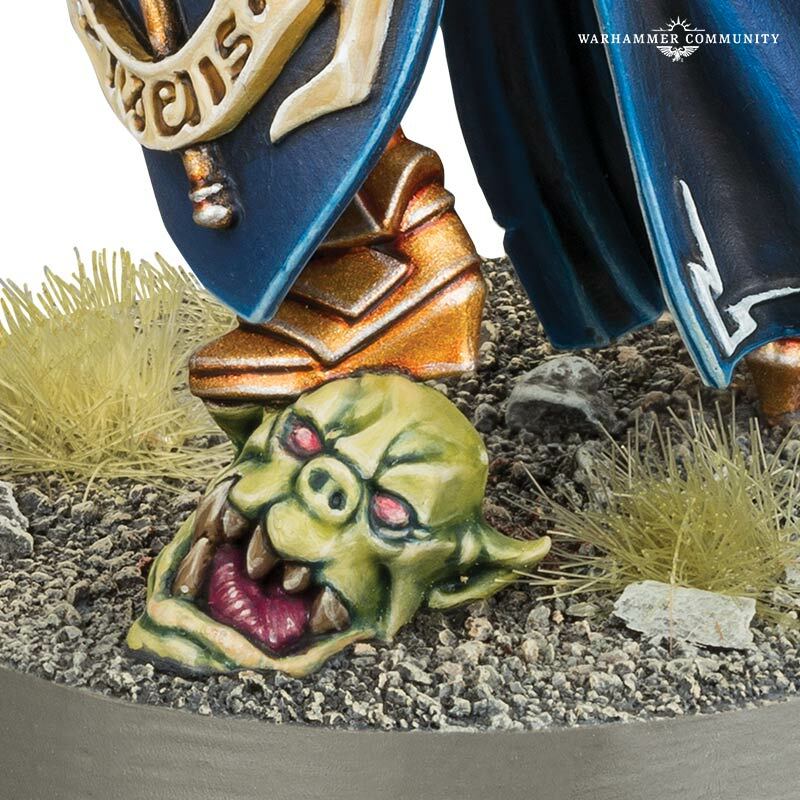 The model is packed with fun details that give Leena character, such as the Orruk head beneath her armoured foot, marking her out as a hunter of greenskins, and her missing gauntlet, testament to some hard-fought battles. 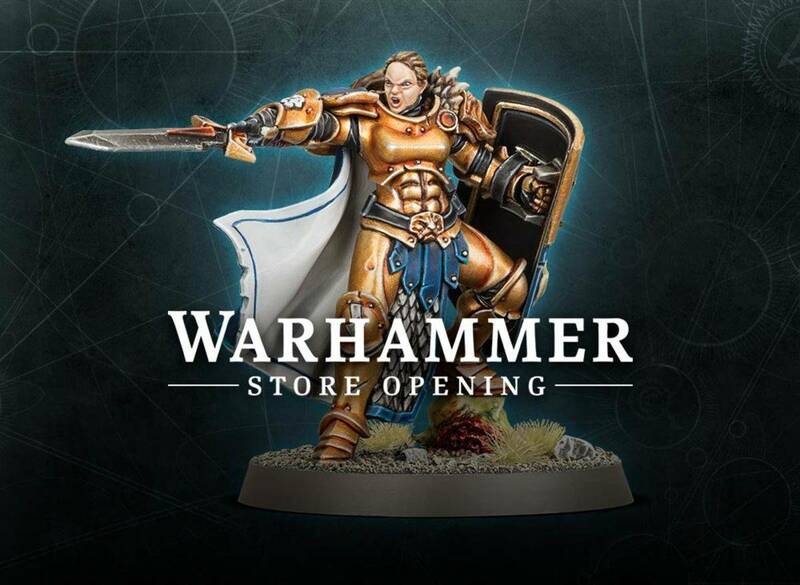 The only way to get your hands on Leena Stormspire is to attend a store opening, refurbishment or relocation, where you’ll also be able to take part in games, painting competitions and more. There’s also plenty more merchandise to pick up, including a Space Marine Terminator Captain. Leena will be first available at the opening of Warhammer Ballarat, which has the distinction of being the 50th Warhammer store in Australia! 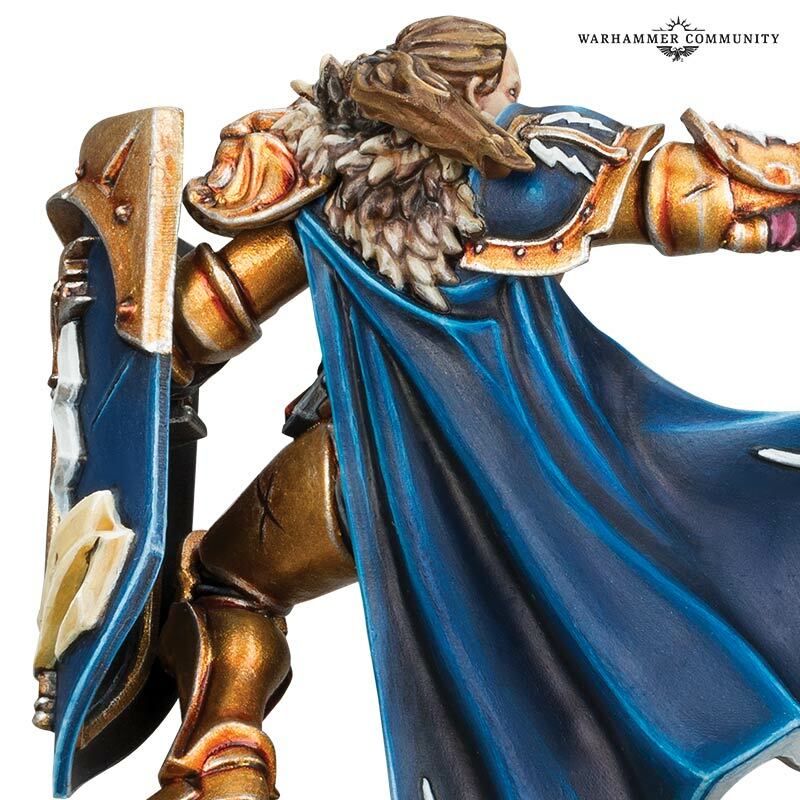 Its opening is on Saturday the 30th of March and is sure to be fun – if you’re in the Victoria area, head on down to join the party and grab your very own Leena Stormspire." Not a fan on how they painted up her face, but besides that - awesome!